C.O. 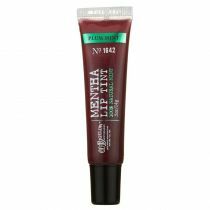 Bigelow Mentha Lip Tint No. 1641 Magenta Mint is a sheer pale pink tint that delivers a hint of color and a super cooling sensation. Our mint-infused lip treatment delivers high-shine, a hint-of-tint and a super cooling sensation that is also a great moisturizing formula. C.O. 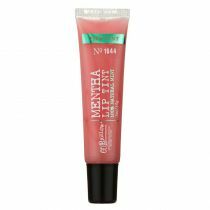 Bigelow Lip Mentha Lip Tint delivers high-shine, a hint-of-tint and a super cooling sensation in an ultra moisturizing formula. 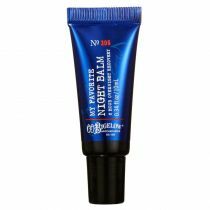 Definitely a great lip tint to pick up when in store or shopping online. It didn't leave my lips feeling sticky so there was no need to worry about my hair getting caught in it. The mentha smell was also a nice touch - it wasn't overpowering at all. An upgrade from your general chapstick. Polybutene, Hydrogenated Polyisobutene, Petrolatum, Octyldodecanol, Mentha Piperita (Peppermint) Oil, Menthyl Lactate, Canola Oil (Huile de colza), Quaternium-18 Hectorite, Silica Silylate, Sodium Saccharin, Propylene Carbonate, Benzyl Alcohol, Limonene, Linalool, Titanium Dioxide (CI 77891), Mica, Red 7 Lake (CI 15850), Yellow5 Lake (CI 19140), Iron Oxides (CI 77499).